I don’t know when I got this dresser. I was still living with my parents, so it’s been at least 10 years, probably more like fifteen. 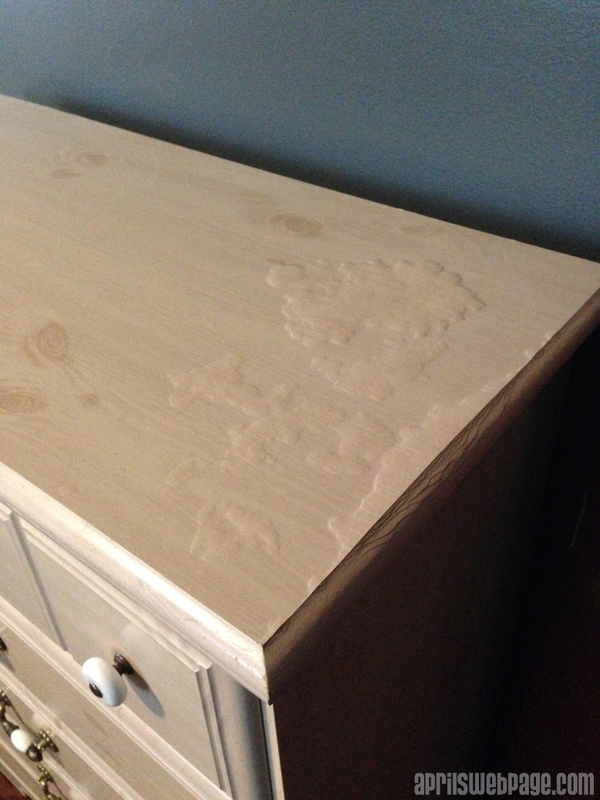 It was looking rather outdated, and the top of the dresser had bubbled up where moisture must have gotten to it at some point. First, I removed the knobs and pull handles and used this liquid sandpaper solution and went over the entire dresser to remove the shiny finish. This proved really helpful for the grooved parts of the dresser where an orbital sander wouldn’t reach. I was able to get this at my local Home Depot. 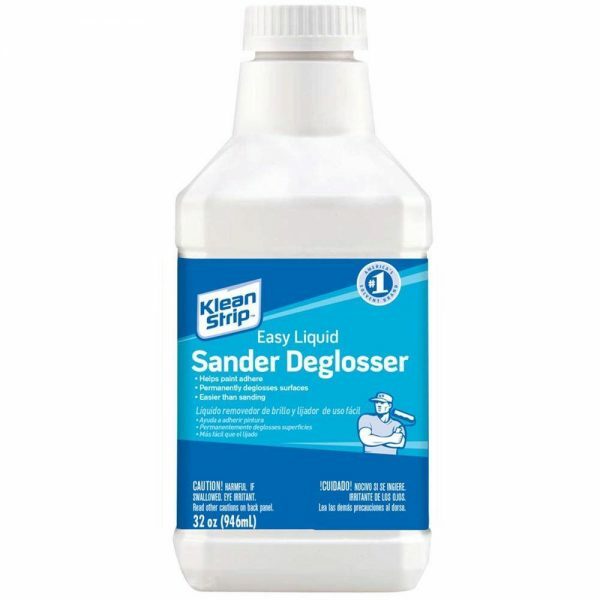 Once the dresser dried after using this, I went over the larger sections with my little orbital sander, just to make sure. I also filled in the pull-handle holes for the bottom 4 drawer and drilled one central hole to replace the pull handles with basic knobs. 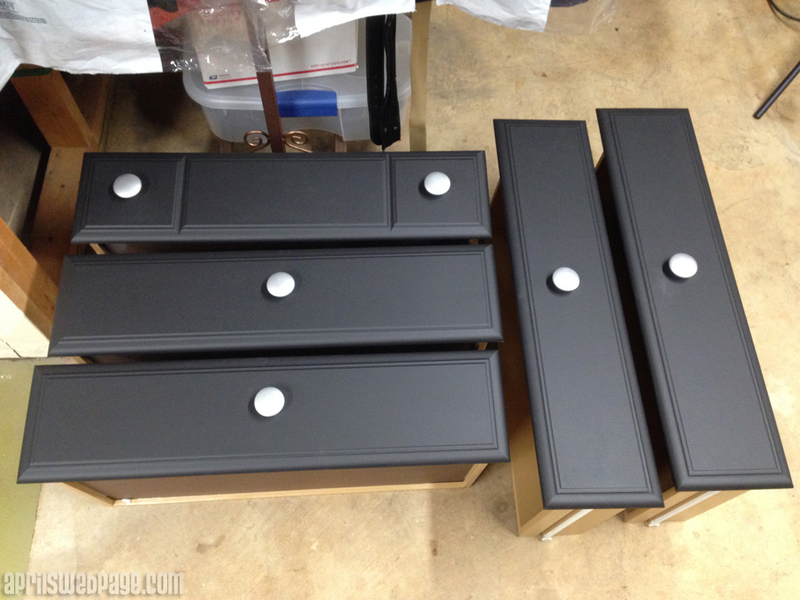 I just purchased large, unfinished knobs, primed them with spray primer and then spray painted them a metallic silver. 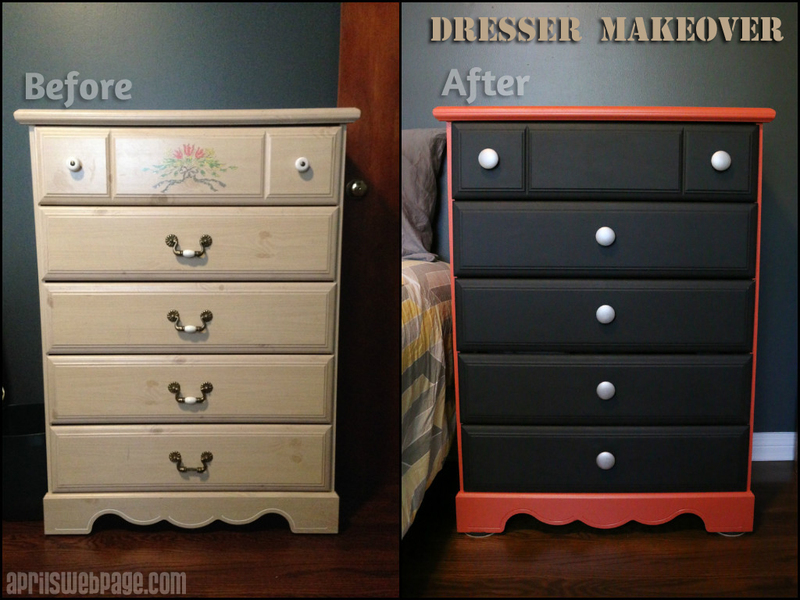 Alex picked out the colors for the dresser since it goes in the guest bedroom. 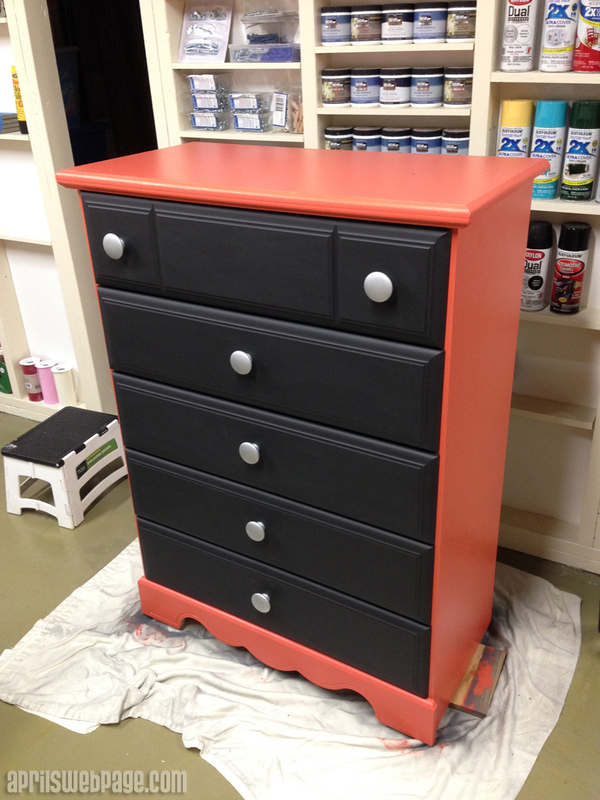 For the draws, he wanted flat black, so I used Behr’s Jet Black, ECC-10-2 in the matte finish. In hindsight, matte colors aren’t the best for something that is used frequently. Clothes hangers have been hung on the knobs from time to time, and you can see the scratches from that. I wished I had used an eggshell finish. 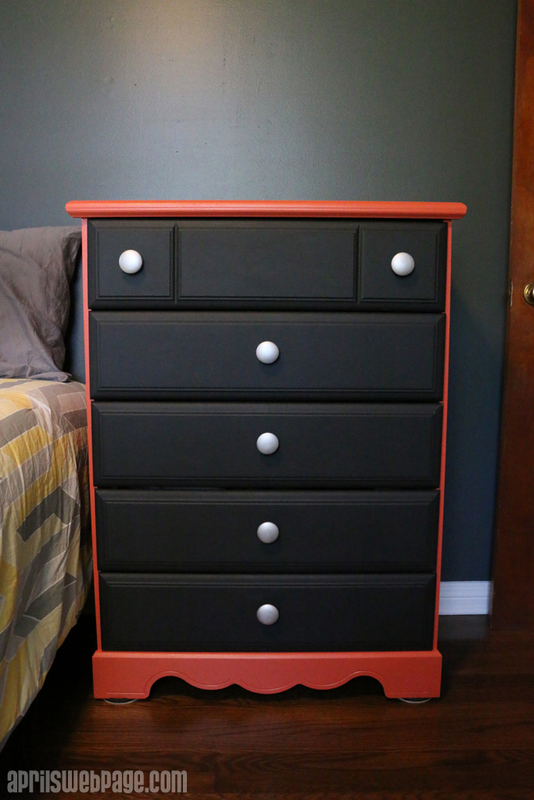 For the dresser shell color, Alex went with Behr’s Red Jalapeno, 190D-6 in the eggshell finish. It took a LOT of sanding to get the bubbled up part smooth enough for paint, but you can tell in the picture below that it’s gone. 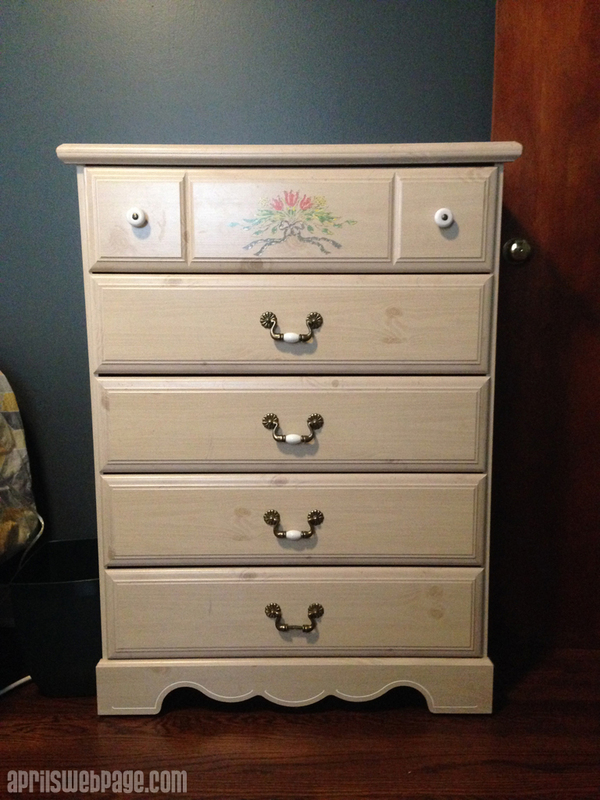 I primed the dresser with one coat of primer before painting it. I wish I had tinted the primer rather than using just white. 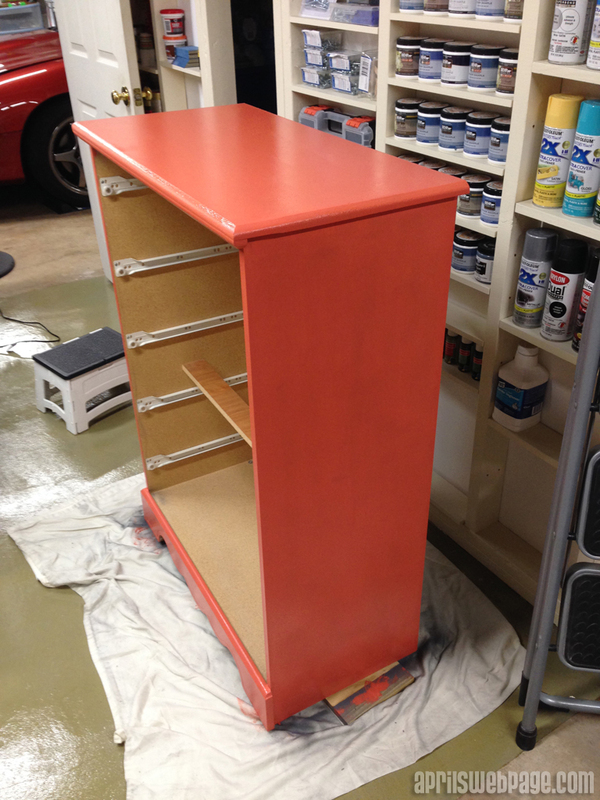 It took 3-4 coats of the red jalapeno to make it look nice and even. The red jalapeno color was one of the colors we tested last May as a possibilities for our hallway, the guest room, and the dining room. Not exactly a color that looked great on the walls, but it looks great for a furniture piece. It especially looks good against the dark blue walls in the guest room, and it definitely looks better than it did before!